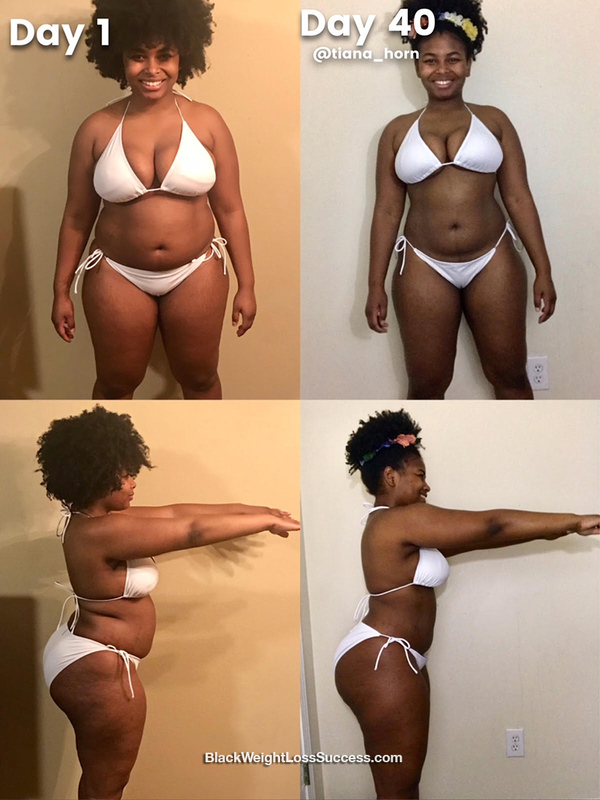 You are here: Home / Before and After Photos / Tiana gave herself a 100 day workout challenge. Tiana gave herself a 100 day workout challenge. Tiana recently gave herself a 100 days of exercise challenge. She’s only halfway done, but she’s already lost 10 pounds and lots of inches. Check out what she shared with us. A little over two months ago, I decided to let go of all the things that were holding me back and finally take the steps necessary to reach my fitness goal. I gave myself a goal of 100 days of fitness and I’m already almost half way there! I try to workout everyday except for Sunday. I try to do at least an hour of cardio everyday. I also do one of four other workouts, depending on what part of the body I’m working out. I’m not comfortable sharing my weight yet, but so far I’ve lost 10 pounds. My height is 5’2″. For inspiration, I changed my phone screensaver to a picture of the size I want to be when I reach my 100 day workout goal. Posting my workout everyday on my Instagram story and fitness highlight also kept me motivated and accountable. Changing my eating habits has been a really big part of my weight loss journey so far, along with working out consistently. One of the easiest changes I made was deciding to not “drink my calories”. Instead, I only drink water. I cut out all my sugars and I’m doing a low-carb diet. I love to eat baked chicken breast everyday! The biggest lesson I’ve learned so far is to love myself every step of the way, so I don’t get discouraged. The best advice I have is to take your fitness journey day by day and find a way to keep yourself accountable. That could be working with a workout partner, having a friend you text your progress to, or even posting your daily workouts on social media.